Surgical services carry some of the highest risks and rewards of all healthcare specialties. They also present specific challenges. Those unfamiliar with the surgical suite’s inner workings may struggle to lead and manage this complex and often isolated department. 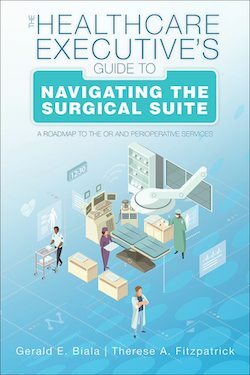 The Healthcare Executive’s Guide to Navigating the Surgical Suite: A Roadmap to the OR and Perioperative Services provides experienced and novice healthcare leaders with the information, leadership structures, and practical strategies needed to successfully oversee both patient outcomes and balance sheets. This book covers contemporary market realities, business challenges, labor requirements, and clinical and operational complexities as it points leaders toward the most pressing issues in strategic surgical services leadership.